On Sunday, my friend Danielle and I participated in the Take Steps Crohn's and colitis walk. 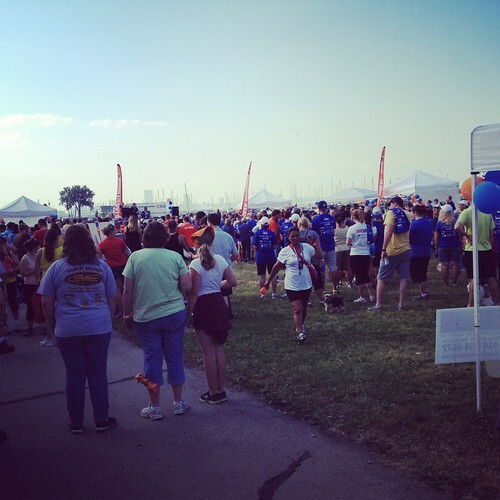 Since I have Irritable Bowel Disease (IBD), it is a very important walk for me to participate in each year. I am thankful that Danielle goes with me and supports the cause. She understands the diseases because she works as a nurse in a GI lab. Did you know that 1 in 200 Americans struggle with IBD? I have colitis and it takes a toll on me when I have a flare. Recently, I have been experiencing some complications with my condition and it really affects everything in my life--work, my social life, exercise, eating, my mood, my memory (which is usually steller, but not when I am sick), etc. 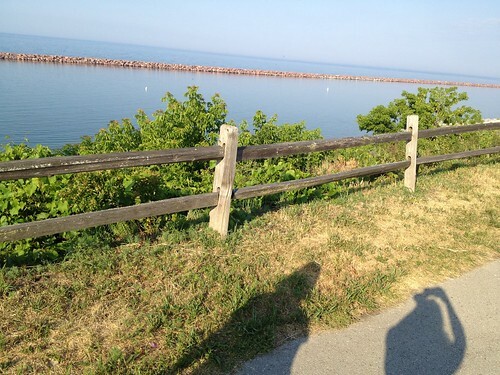 This was my third walk and it was in a new location, at South Shore park in Bay View. I really preferred this spot over the previous ones in recent years. We ate a picnic dinner and walked around to see what the education booths offered. There was a good crowd gathered before our roughly two mile walk started. 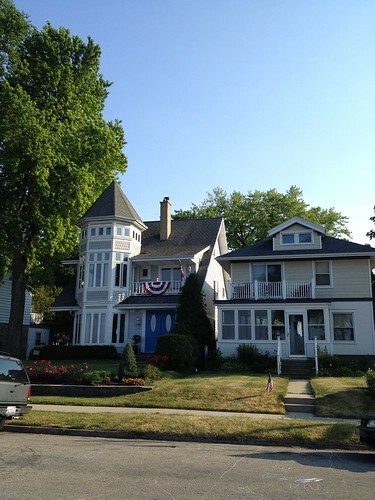 We walked past some lovely houses that faced Lake Michigan. I loved this one in particular. 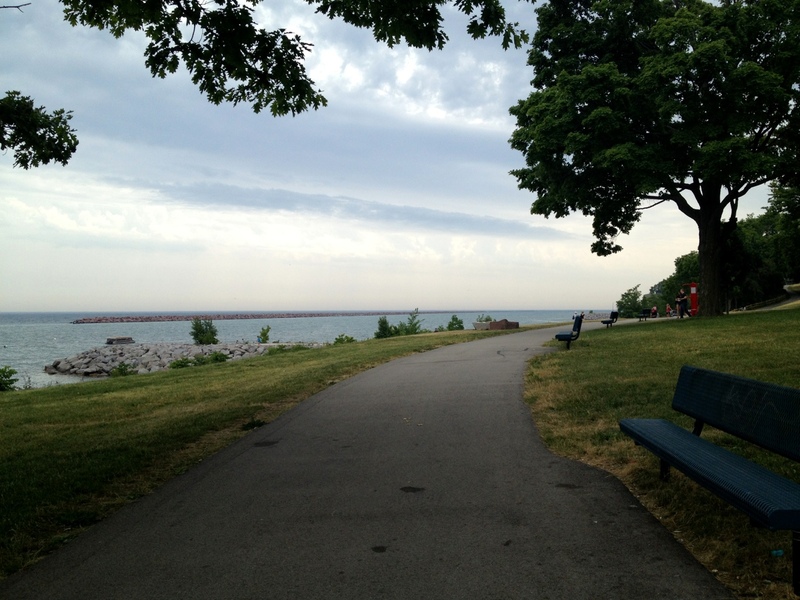 And of course, we had great views of the lake. Our walk was supposed to be 2 miles, but it seemed like it was a little over that. 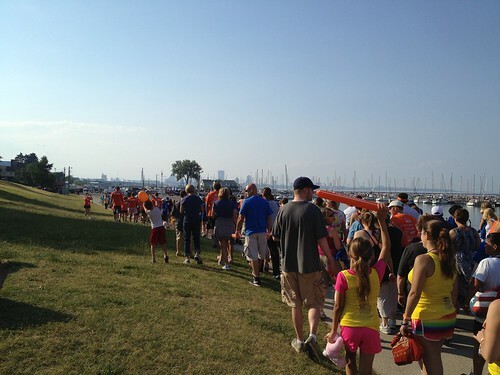 The Take Steps walk is really the only one I feel like participating in each year since the cause is near and dear. Other races feel like they get enough support and in my opinion, I wish more people would financially support a different medical cause every year. So this is my plug to you readers. Next time you think about signing up for a hugely supported race, please think of this post and diversify what causes you donate to. Thank you! 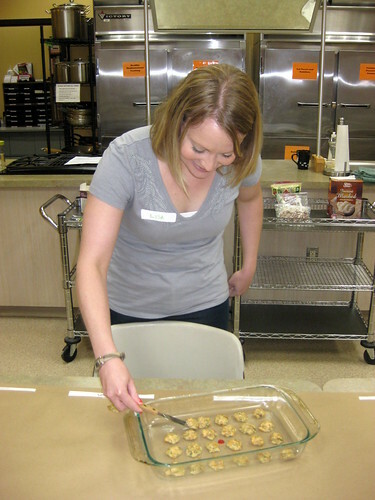 On Saturday, Karis and I attended a Cat Treats and Nutrition class through Waukesha County Technical College. 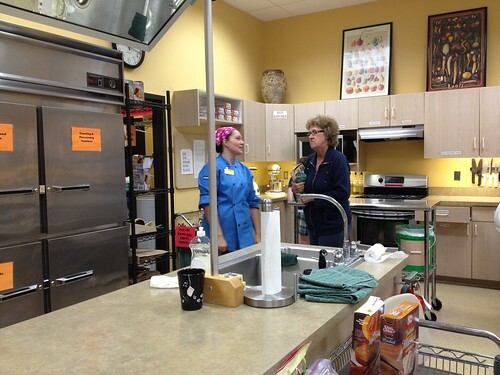 We learned lots of interesting things and our teacher was very knowledgable. 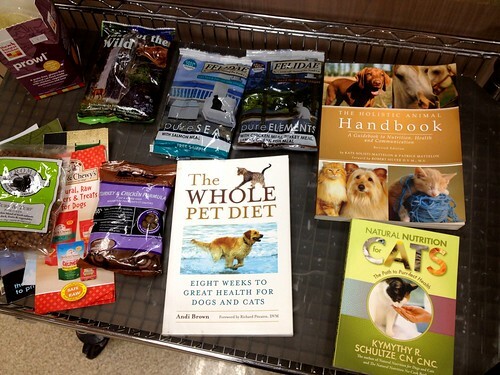 Since we received way more information than I could ever share in a blog post, I will summarize a few key points and encourage you to take a pet nutrition class if you find one in your area. 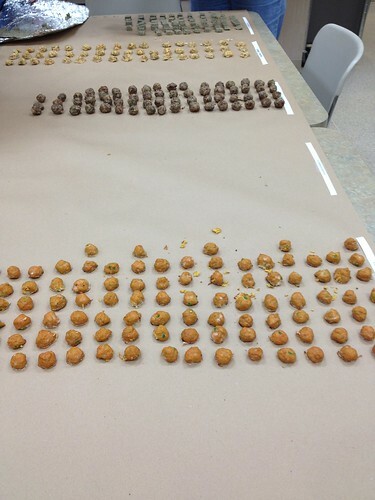 -Our teacher, Kate, is certified as in Animal Nutrition, Human Nutrition and as a pastry chef. -Cats don't like sweet things, only savory. When they're attracted to what you may think of as something sweet, it's really the fat that appeals to them. -A cat's stomach is approximately the size of your thumb. Most suggested feedings are larger than they need to be. 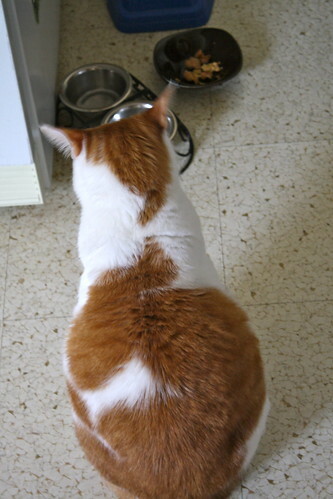 -25-35% of cats in America or overweight or obese. This puts stress on their organs, bones and tissues. 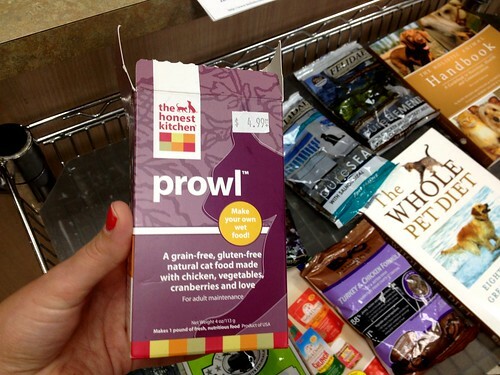 -Cats need a diet rich in protein and fat. 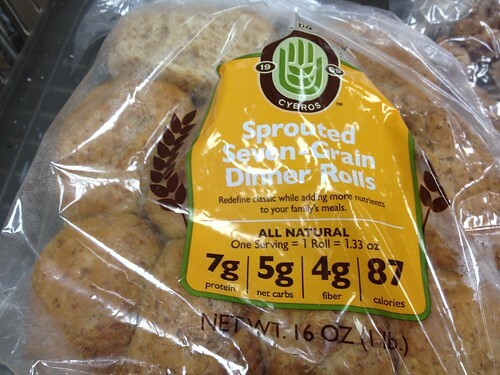 Carbohydrates should only make up no more than 15% of a housecat's diet. 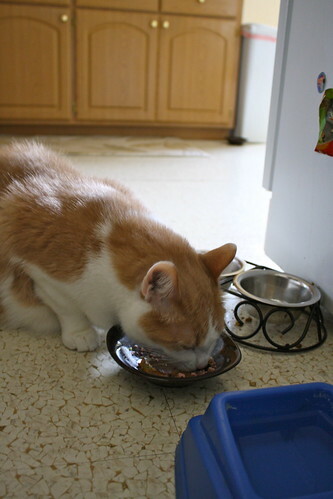 -Our cat Karma gets sick when we are on vacation and a cat sitter only feeds him and his brother once per day. This is likely due to the fact that when cats aren't eating at their regularly scheduled time, they start to salivate and their stomachs produce an enzyme which makes them throw up in turn. -This was the biggest thing I took away from the class, as Craig had read the opposite on the internet: cats need their food rotated (so buy a number of brands and slowly ease them into trying each new one by combining with the old), which will make them less likely to become allergic to certain foods. It can help strengthen their digestive tract and health. 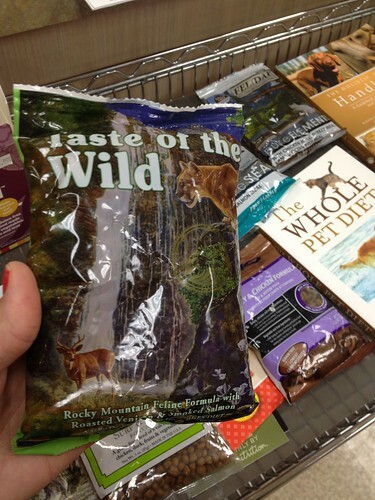 Our teacher recommended some food brands in our packets and one of them that was the "most bang for the buck" was this Taste of the Wild brand. 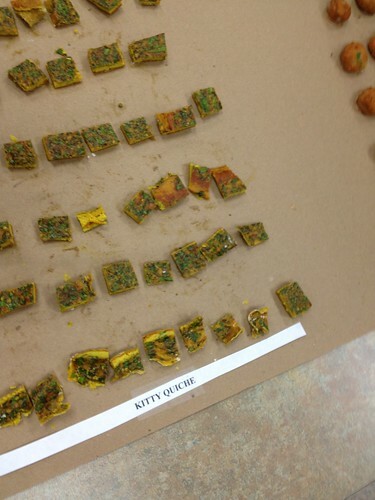 She also had this dehydrated food on hand to show us what it looked like. I am definitely going to buy this because it would be easy to serve the cats. I think Karma will be the only one that eats it though. 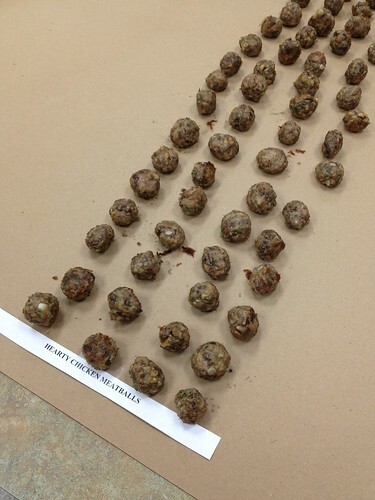 *All of this information is from Kate Baumann, Certified Animal Nutritionist at WCTC. 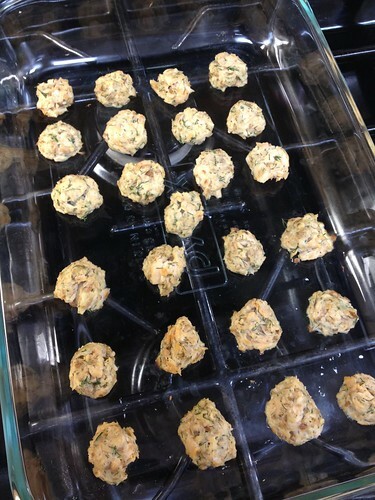 Karis and I joined a mother and daughter to make salmon cakes. Much better than working with the chicken heart treat (ew). Our recipe had sprouted buns for the bread crumbs, which was my job to grind up in the food processor. 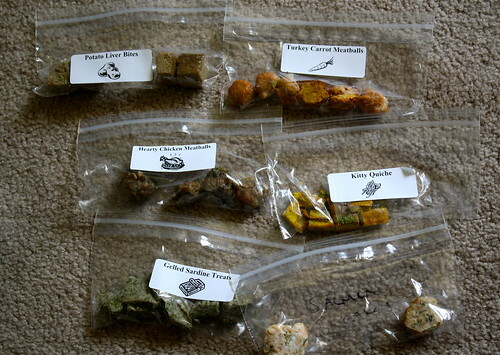 In the end, we all got to bag up a bunch of great treats for the kitties and take them home. 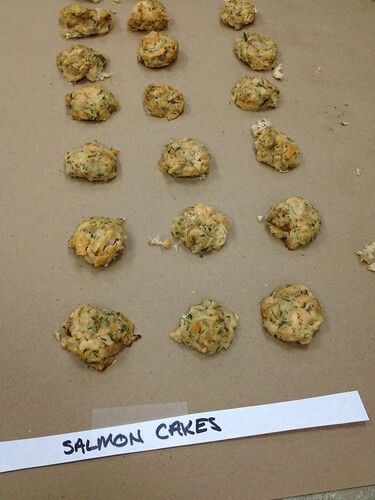 Here I am dishing out the salmon cakes. 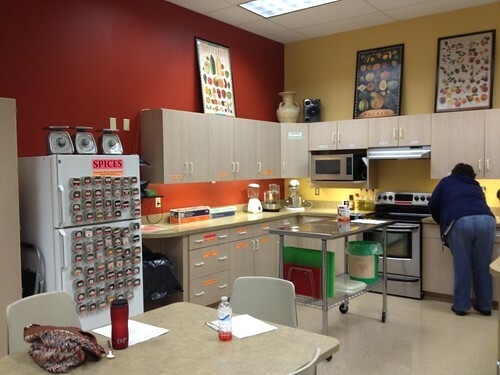 The kitchens we cooked in were organized, designed well and they made Karis and I want to take more cooking classes there. When I got home, Karma went right to the bags of treats and sniffed them. Tanzi wasn't interested in smelling or tasting them at all. 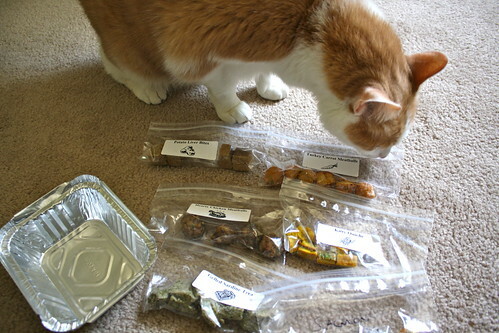 Luckily, Karma won't let these treats go to waste! I'm really glad Karis found this class and encouraged me to take it with her, because I feel a lot more informed on what we should be feeding the boys. I am also excited that we got a name of a holistic veterinarian to possibly check out. Not much to report this weekend...I'll probably be back later today with a post about what I learned at a class I took yesterday. 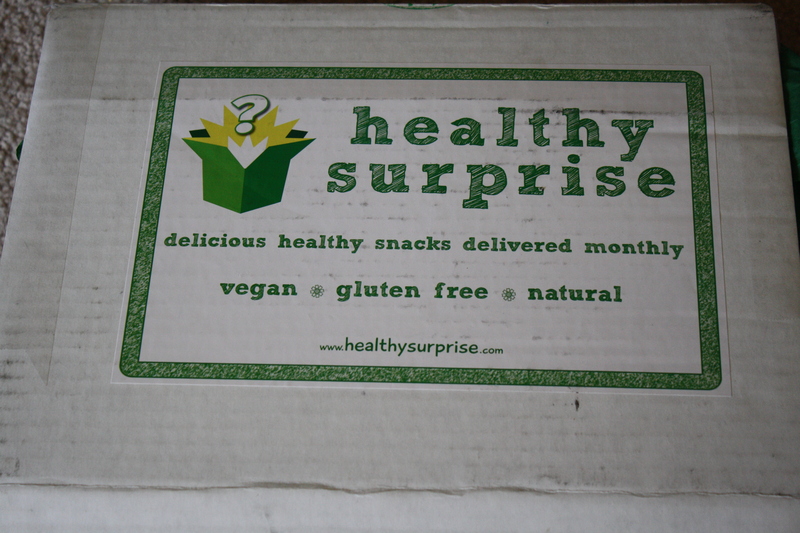 I do have a winner of the Healthy Surprise giveaway to report though! Congrats Maddy! Please e-mail me at fitinthemidwest@gmail.com with your mailing address within the next 24 hours. The rest of today, I'm off to run some errands and then meet my friend Danielle for the Crohn's and Colitis Take Steps walk! Last night, Craig and I went to Clock Shadow Creamery. 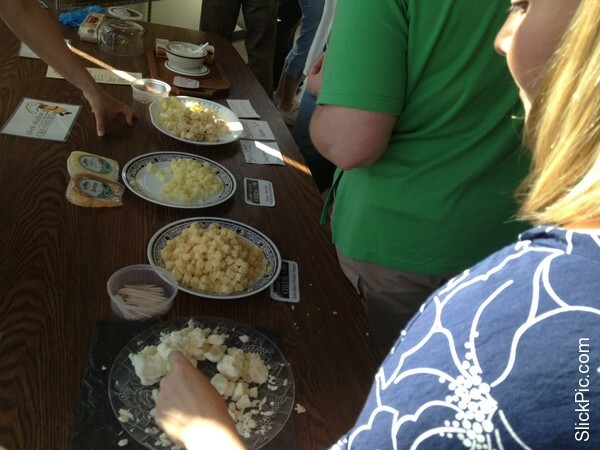 Can you believe that it is Milwaukee's first ever cheese factory? 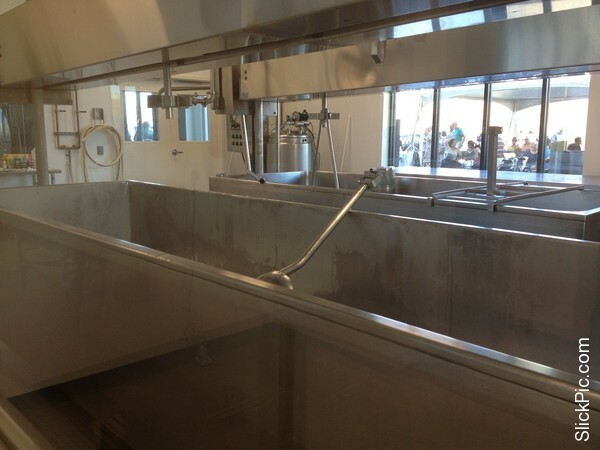 The aging process doesn't occur at this location, but the actual cheese making process does. 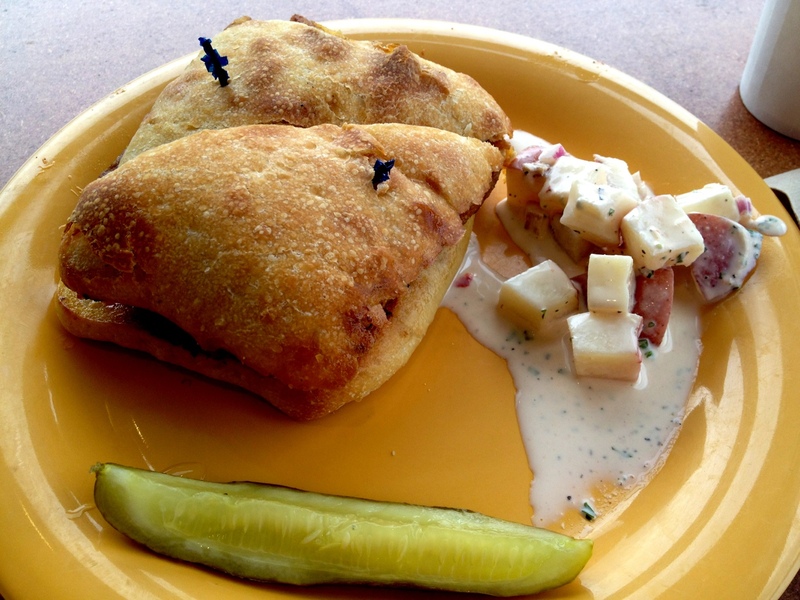 I've sure had my fill of cheese this month, but how fitting since it is dairy month! 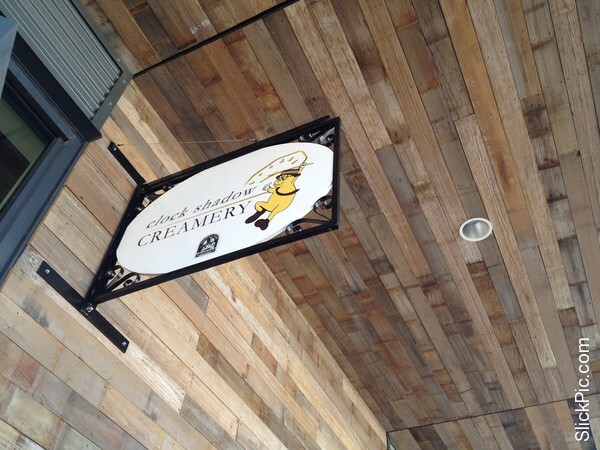 "Clock Shadow Creamery is an urban cheese factory committed to being a model local venture. 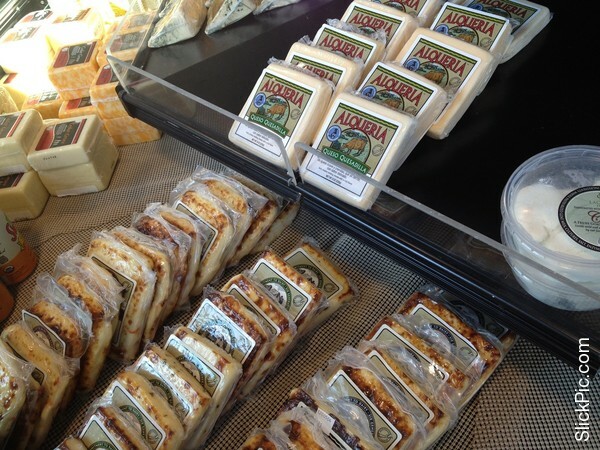 Our goal is to produce the best, freshest cheese. Our mission is simple; our cheese factory will tread softly on the local environment, provide opportunities to learn the craft of cheese making, educate the public on the nutrient value of fresh dairy products, and connect local farmers choices, with the values of our customers." We went inside for to wait in line for the cheese samples! 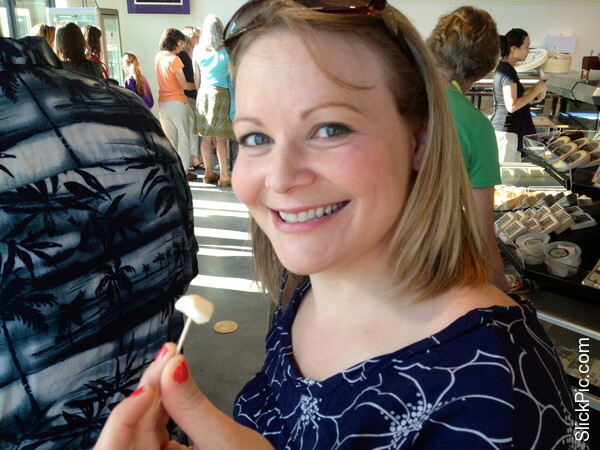 Here I am with a fresh curd! 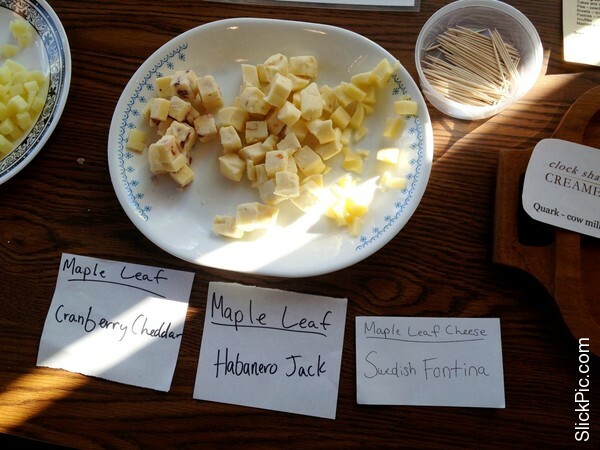 I loved all of the cheeses I tried. Craig had a piece of the habanero and it was hot! My favorite was the quark (must be the German in me). In Europe, people eat it for breakfast with fresh berries, etc. Bob Wills, the founder of Clock Shadow, later admitted to our tour group that he is addicted to quark and eats it with many things. He also told us that a lot of local restaurants are using CS quark in their recipes, which is really cool. Since Clock Shadow is very new, they didn't have a lot of cheese available except for some fresh cheese curds and their delicious quark. The founders of Clock Shadow are the same people who own Cedar Grove cheese in Plain, WI, so some Cedar Grove cheese was available in their store. The store also sells scoops of Purple Door Ice Cream, another local company who Clock Shadow shares their first floor space with. 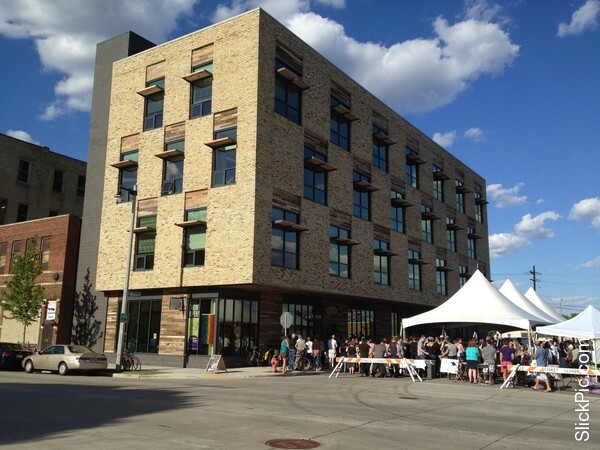 After tasting some cheese, we got in line for a tour of the other tenants in the building, which include Aurora Walker's Point Community Clinic, CORE/El Centro, The Healing Center Independent Law Offices. 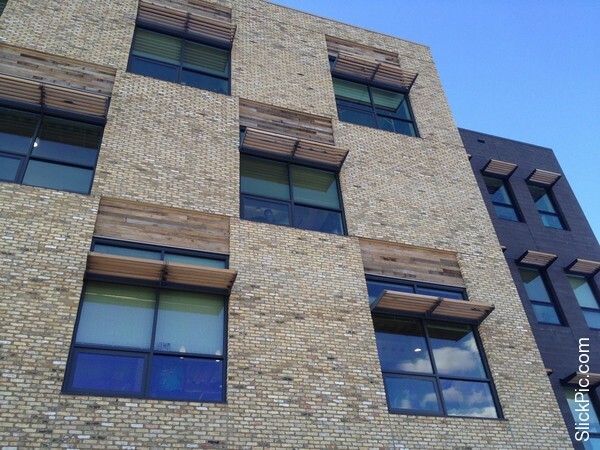 The building is very green and 50% of it was built using recycled and salvaged material. 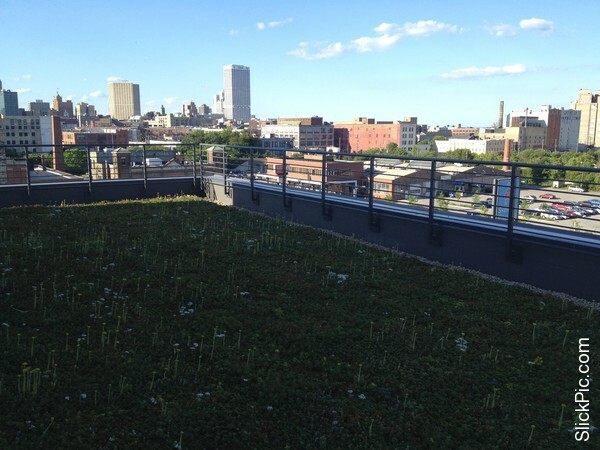 Our first stop on the tour was the green roof, which offered amazing views of Milwaukee. Clock Shadow creamery is named because it's in the "shadow" of Allen Bradley, a company that has a well-known clock tower. My dad worked there his whole life, so I have fond memories of Christmas parties at the company and associating the clock tower with my dad. 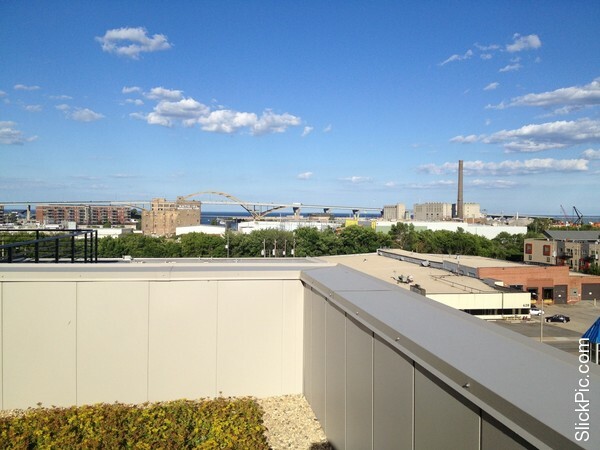 Here's our view of Allen Bradley (also known as Rockwell Corporation). 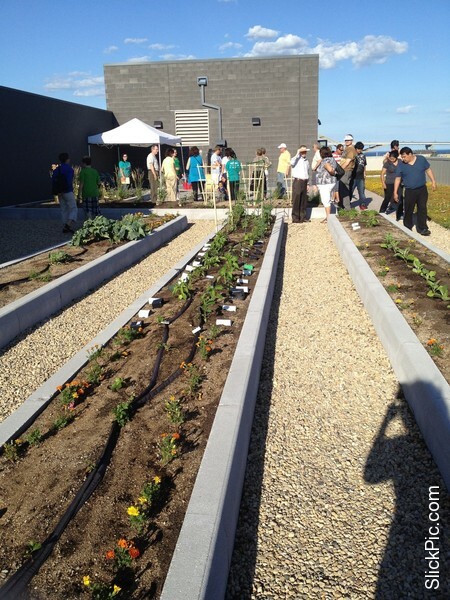 The roof had a great garden going with lots of herbs and veggies. 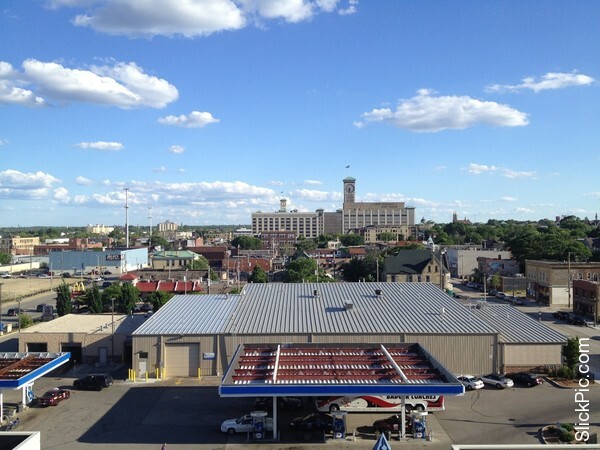 Here was our view of Milwaukee. After our tour of the building tenants, it was time to check out the cheese production area. We couldn't go into the production room itself (I was spoiled from my WI cheese tour at the beginning of this month when I was able to do this kind of thing). As you can see, there are big windows facing the outside of the building, so people can check out the production from outside as well. A staff member of Purple Door Ice Cream and Bob Wills, the founder of Clock Shadow, spoke to our group. My favorite fact that Bob shared with the group was that the only other urban cheese factories in the country are in Seattle and New York (and they are in more touristy areas and meant for that purpose). 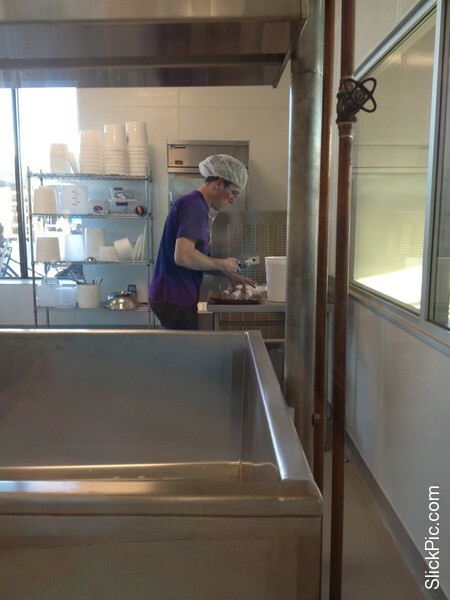 He said that the cheese factory hopes to produce 1,000 pounds of cheese per day. Here is a Purple Door worker dishing out ice cream! Yum! 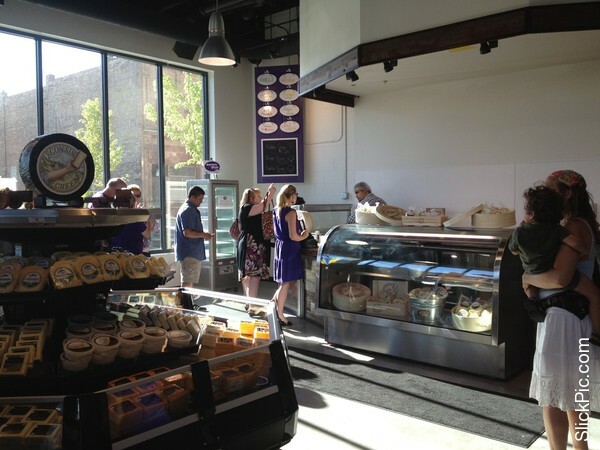 I have yet to try Purple Door ice cream, but will definitely have to pick some up at Outpost or Whole Foods next time I go. 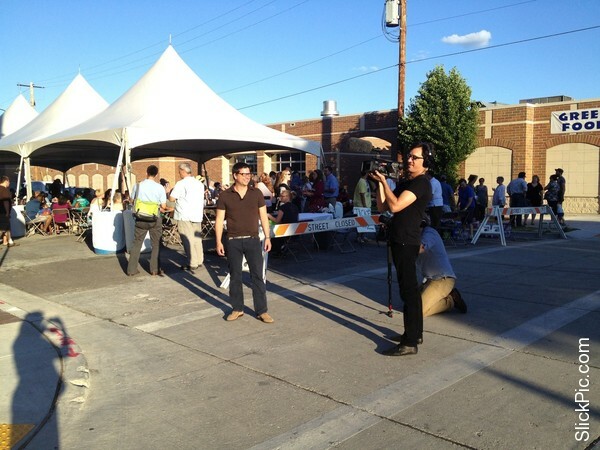 As we were leaving, we saw Kyle from Wisconsin Foodie filming an episode. Clock Shadow just opened, but I see a bright future ahead for them and for the other tenants in the building. They will have tours available in the future. It looks like you have to schedule them, but call or e-mail to find out. 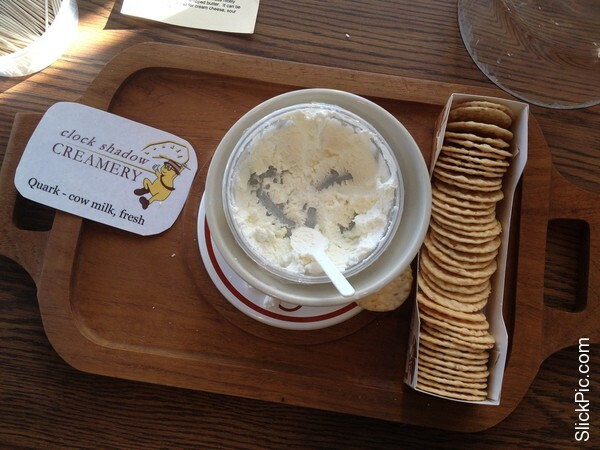 I encourage you to check it out for a unique experience at Milwaukee's first ever cheese factory. I've got a great giveaway for you today! It's from Healthy Surprise. One lucky winner will get this in the mail! 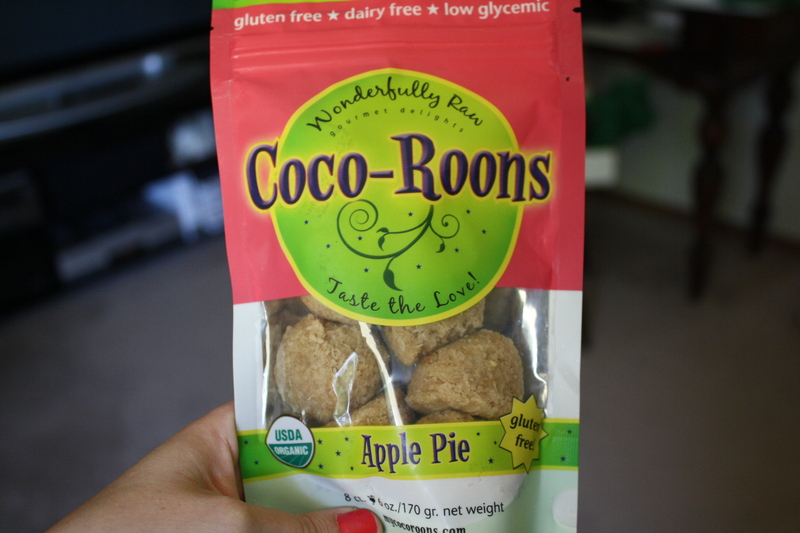 There are lots of great gluten free, natural and vegan products to try out. I was sent a similar box with lots of goodies. 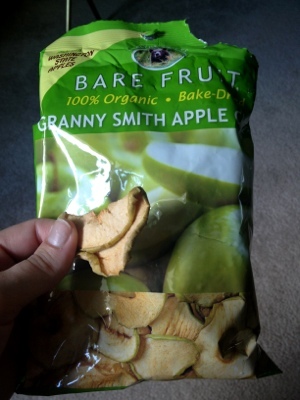 Craig and I ripped this bag open right away and he was addicted to the dried apple chips. 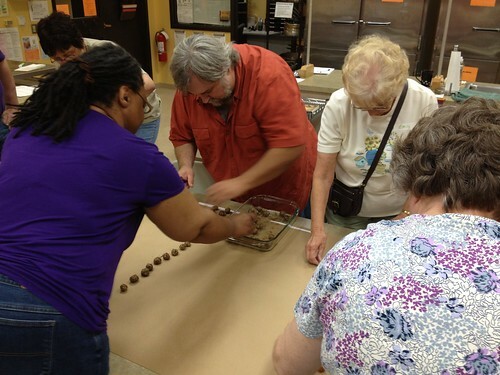 The winner gets to try some dried cherries, yum! I also liked this new to me product. There are lots of options for subscriptions. I am honestly not sure I would be willing to pay that much per month (they start at $33), but if you were looking for something convenient that would help you make sure you always had healthy snacks on hand, maybe it would be worth it. They also have gift options. 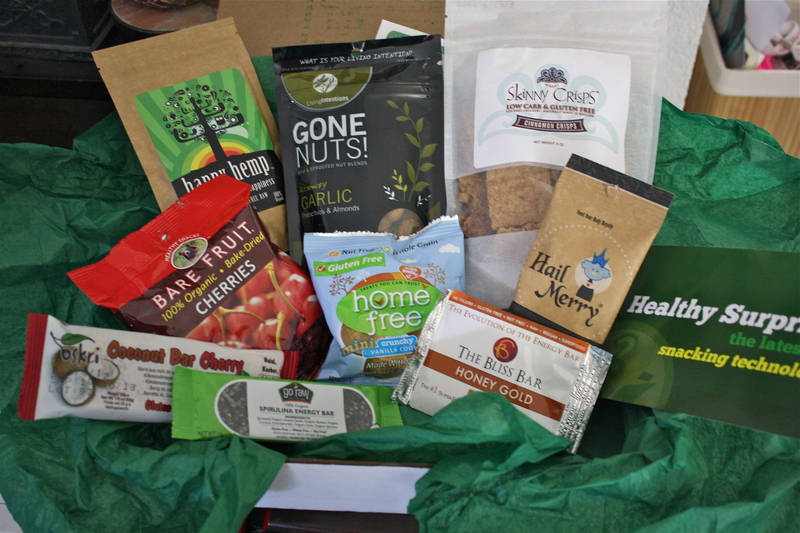 Thank you to Healthy Surprise for letting me try out a box of my own and for giving one away! -Leave me a comment with your favorite healthy snack. U.S. residents only please. Giveaway ends on Saturday, June 23rd at 5 p.m. CST. I will use random.org to pick the winner and post it on June 24th. Winner will have 24 hours to e-mail me at fitinthemidwest@gmail.com. I will pick a new winner if the original one does not e-mail me directly. How is your week going? Mine has been ok. It's super busy at work, so time is flying by. I started a new book this week and I am enjoying it so far. It's well written and an interesting. 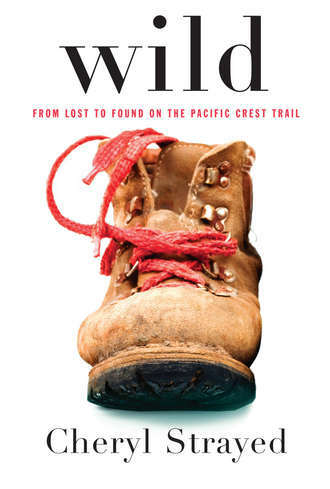 I wish I could do what she did and hike the Pacific Crest Trail. Alas, this girl gets scared of garter snakes and seeing a rattlesnake like she did would scare the crap out of me. I've been trying to eat as healthy as possible this week. My stomach has not been happy since last week and eating clean is the only way to get it back to normal. We had salads for dinner tonight. 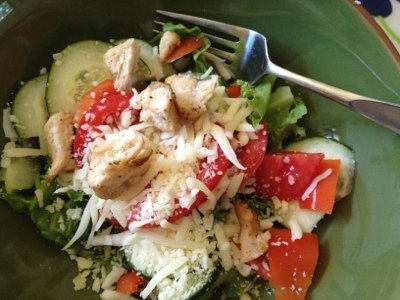 I eat a mostly vegetarian diet, but sometimes grilled chicken on a salad just tastes yummy. Last night, I ate a whole avocado in the form of guacamole. I couldn't stop eating it. I need to make homemade guac more often. 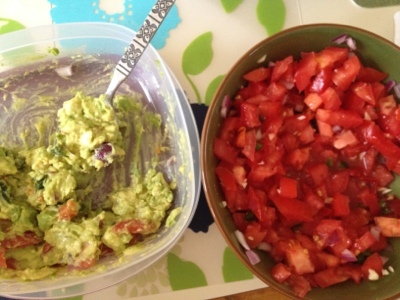 It's great to have homemade salsa once again too, complete with cilantro from our garden. Hope you all had a great Father's day! We spent it at my parents' house and my brothers came over to celebrate. I picked the winners of the Suave giveaway. #3 and #8 were the lucky numbers so that means Ray and Kim of Living Domestically won! Please e-mail me your addresses and I will pass them onto the Suave folks so you can get your prizes. Thanks to everyone for entering. Only a few hours left in the weekend, so it's time for me to sign off and catch up on house stuff. 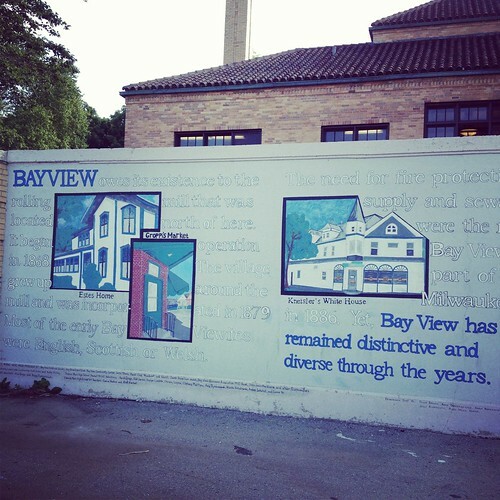 I spent my Saturday morning in Bay View. 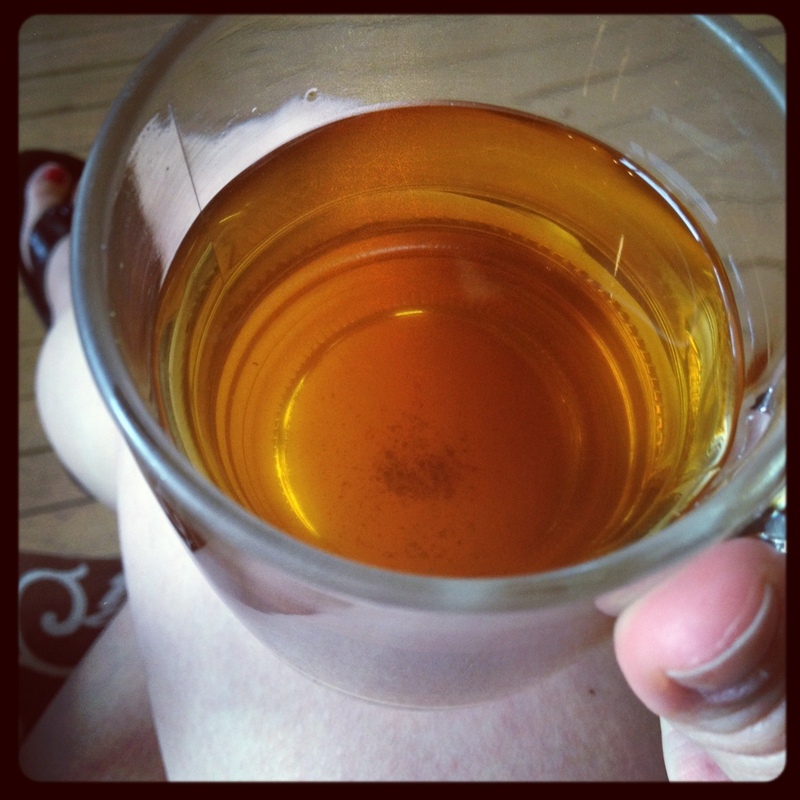 I get my haircut at a salon there now and enjoyed some Aveda tea before my appointment. 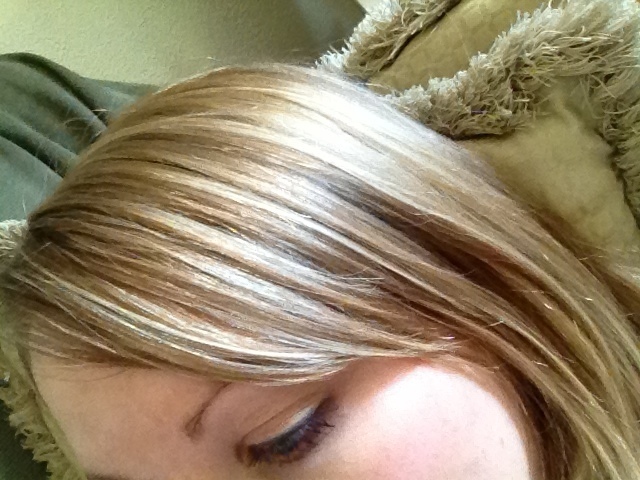 My hair is shorter, shiny and styled. 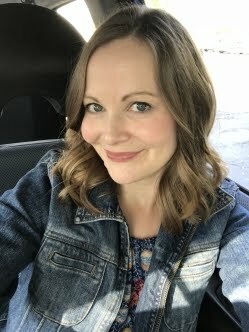 I keep going shorter and shorter and honestly, sort of miss having a wee bit longer hair. I think longer looks better on me with a round face too. We shall see if I will grow it out again or not. 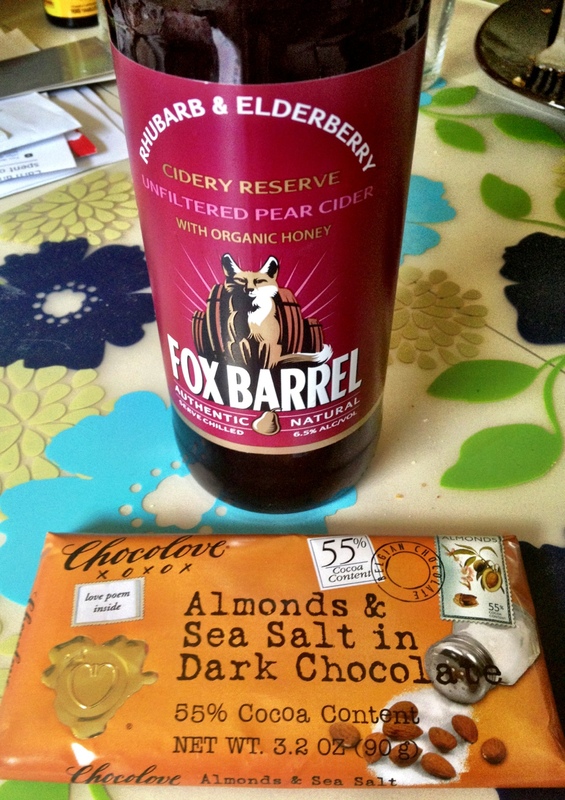 I went to the South Shore farmers market for the first time. It was in such a pretty setting and for being the first day, they had a lot of booths! 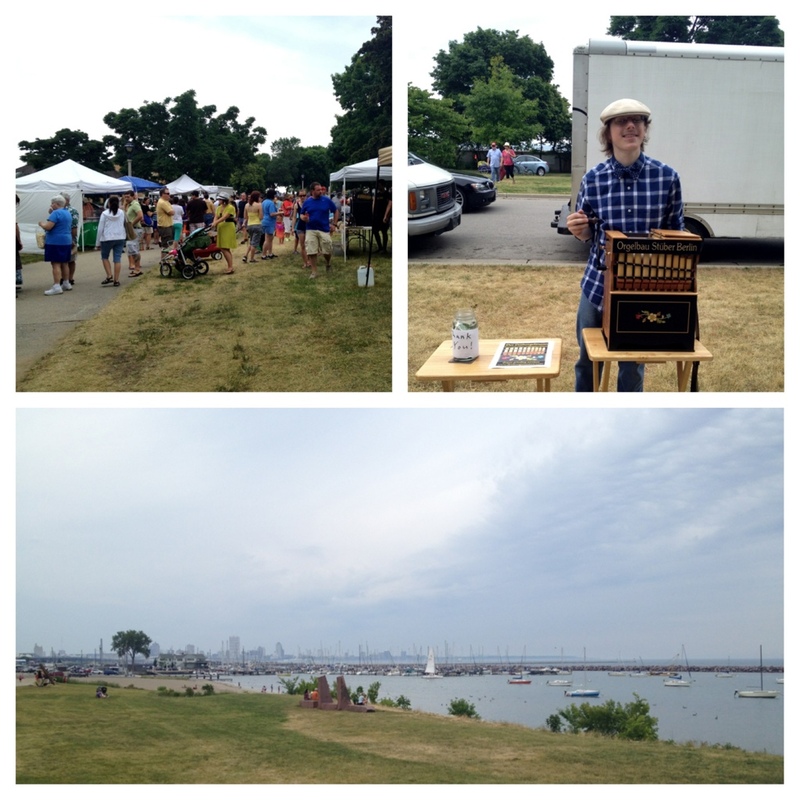 I bought some lettuce, spoke to the organ grinder below and took some pictures of the city from the shore. Craig and I biked this path a couple of summers ago and it was lovely! We need to do it again. 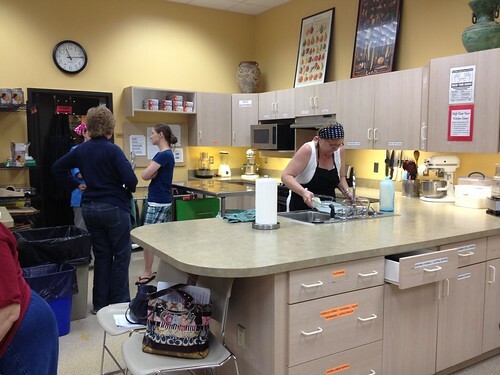 Next, I headed to the Bay View Outpost for lunch and to shop for groceries. The tofu steak sandwich caught my eye. 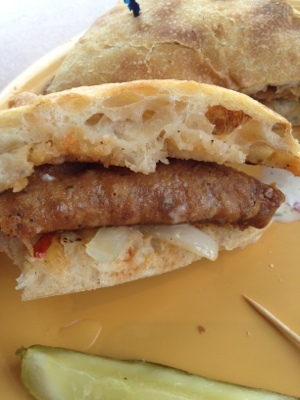 It looks like a bratwurst, but it was a delicious hunk of breaded tofu. Yum! 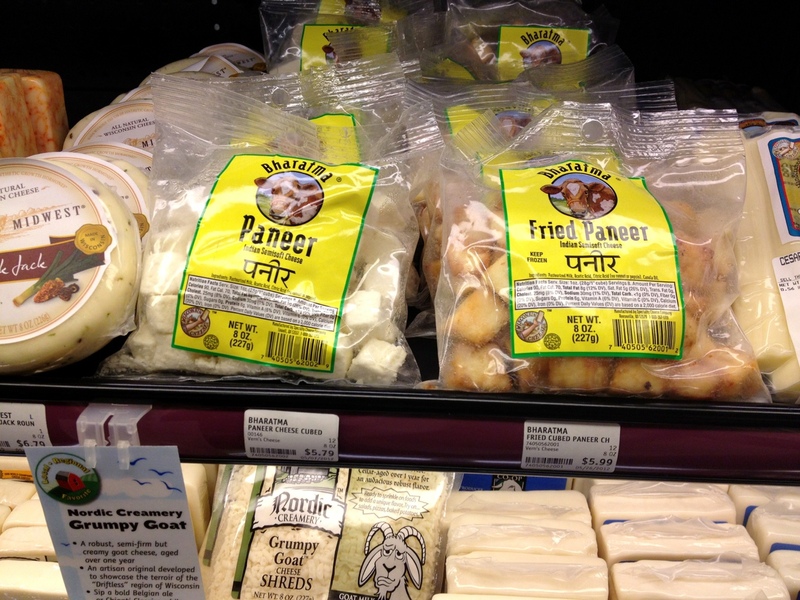 While shopping, I discovered that Outpost sells paneer. Probably more expensive than your average Indian store sells it for, but cool to know that they carry it. I had to resist purchasing the fried paneer.